These four were moving or wildly entertaining, and might make my top 10 list at the end year. Even so, any top list is still subjective. As mentioned before, I don’t focus on specifics with an ‘overall’ list. The overall scope combined with an expression towards films of quality is what will define this lists. 5. 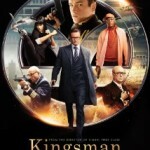 Kingsman: The Secret Service – The slickness, ferocity and overall unique take on the ‘spy film’ genre plays out in such pristine nature in this film. The ingenious eye of Matthew Vaughn provides an unique view with a wealth of playful tropes, while also going towards the outrageousness of the fanatical. This is a great take on a graphic novel, and one hell of a ride. 4. 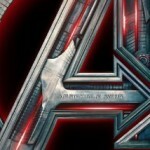 Avengers: Age of Ultron – A film that can be consider bombastic, Age of Ultron is a bowl of excitement. With true blockbuster sensations; this sequel not only takes out favorite group of comic book heroes to places they haven’t been; but also takes the story into a whole other level. With new conflicts arising and a dangerous threats looming; our group traverses this film with great action and comical one-liners in an overall entertaining ride. There is deeper characterization and more complex storylines, but this film delivers on every level. 3. 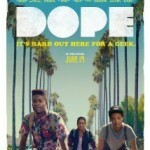 Dope – This is the coming of age story of 21st generation that grew up in high school. As mentioned in my review, this is a smart and witty film that plays complex ideas of judgment vs. reality. With a boy trying his best to break all stereotypes and move on to better things, he is stuck in the direst of situations and must use his intellect to get out of it. Built upon with great characters, a strong script and overall complex human themes, this is a coming-of-age tale that redefines the genre, and gives a blueprint for years to come. 2. Ex Machina – This film is the pure essence of great storytelling. With depicting the general idea of what is ‘A.I.’; this film divulges that simple concept into a deeper complexion of what truly defines humanity. With one of strongest acting trio’s this year, this film delivers on various levels. This film is one of the best of the year, but it doesn’t take my number one spot. There is another that surpasses it. 1. 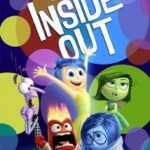 Inside Out – It is a rarity when I give a perfect score, but there is also no doubt when a film deserves it. This Pixar film is well deserving of that score. It is highly unimaginable to think otherwise, but it has been a while since Pixar delivered something great within their film catalog. When they do (as they do with this film), it becomes a masterpiece. From the intuitive but imaginative world that is created of how the ‘inside’ the mind works, the complexion of the emotional draw of this film’s story, characters and poignant direction, you will not find another story this year that delivers so much on the big screen. For many reasons defined in my review, this is why Inside Out is the number one film so far this year. Terminator: Genisys – 3/5 – Movie Reviews by Ry!